MAGAZINE ARTICLES ABOUT ME ARE NOT TO POSE BUT TO LET YOU SEE WHAT OTHERS WRITE ABOUT ME - NOT JUST MY CLAIMS! IMPORTANT - YOU MUST READ AND UNDERSTAND THIS WEBSITE FULLY BEFORE YOU REQUEST MY HELP. UPDATES MUST BE SENT WEEKLY ONLY UNLESS SOMETHING MAJOR HAPPENS. IF I DONT HEAR FOR SIX WEEKS OR LONGER THE WORK IS STOPPED. .THERE IS A GOLDEN RULE IN ALL MAGIC - NEVER DO SPELLS YOURSELF FOR YOURSELF. THIS CAN BE VERY DANGEROUS IF YOU DON'T KNOW WHAT YOU ARE DOING AND CAN HAVE THE OPPOSITE EFFECT. A well trained Witch will be in control of their Energies but if they say that they can fix your problem over night for a lot of money they are going on holiday with it. NEVER ask to change from Black Magic to White once a spell is cast. You MUST choose at the start. Black and White Magic are from the same source. You can cook with it, or kill with it. Again, timescales can only be guessed at. The days of Witches being hunted done and murdered are gladly gone as there is a law against everything nowadays but the REAL hunt is for you you to find a genuine person who will do the work that you require and get a result! Most of the people murdered in the 16th - 17th century Witch Hunts were ordinary people who were just minding their own business. They were tortured murdered and hung or swum in England, whereas in Scotland, The Channel Islands, Europe and other parts of the world they were burnt at the stake. They had no special powers or gifts and thousands of innocent people died 'In the name of God'. Sadly its the same with many who advertise their gifts nowadays, both for Spells and Tarot. They have no special powers or gifts and are conning people like you reading this site and getting your hopes up, taking your money, sometimes thousands of pounds / dollars for nothing. These people really should be persecuted for offering false hope. If you use me you will get results. I keep working on it, no matter how long it takes, to get the result that you desire. 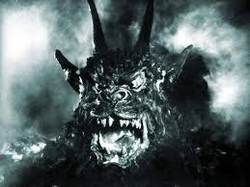 Devils and Demons are in the mind so you are never likely to be faced with a creature like this from the 1958 film 'Night of the Demon' but if they are projected right in a ritual, its a persons mind that will construe everyday bad happenings as a 'Demonic Attack' and it is their own fear and paranoia that destroys them in the end. BLACK MAGIC DOES NOT bounce back on its user three fold as the modern myth would have you believe. This has been invented to scare people into not trying it or using it to their advantage. (It is very similar to the myth that young boys are told 'Wanking makes you go blind'. Of course this is stupid and doesn't have that effect. It is simply introduced to deter kiddies from performing this act. So what is BLACK MAGIC? Its the use of entirely the same force as White Magic without setting conditions for it to work. It goes 'straight for the jugular', no messing around, and I only employ this if the use of normal magic is strong enough. If I do use it for you there is no bounce back on you in any way. The most important thing is to understand that 'Magic' is a science of the mind not hocus pocus religion. Lets say for instance you are trying to bring back a lover. It isn't going to be an overnight success as we have to put back into the persons mind, artificially, that they want to be with you again. For the price you pay, which is a pittance, the Magic used builds up slowly over the course of weeks, sometimes months, restoring your relationship to what it was but you must remember IT IS FALSE EMOTION AND FALSE LOVE, particularly if the person grew to hate you or you were obsessed , forcing him/her to have no option but to dump you. IF YOU ARE'NT SURE OF ANYTHING ASK. 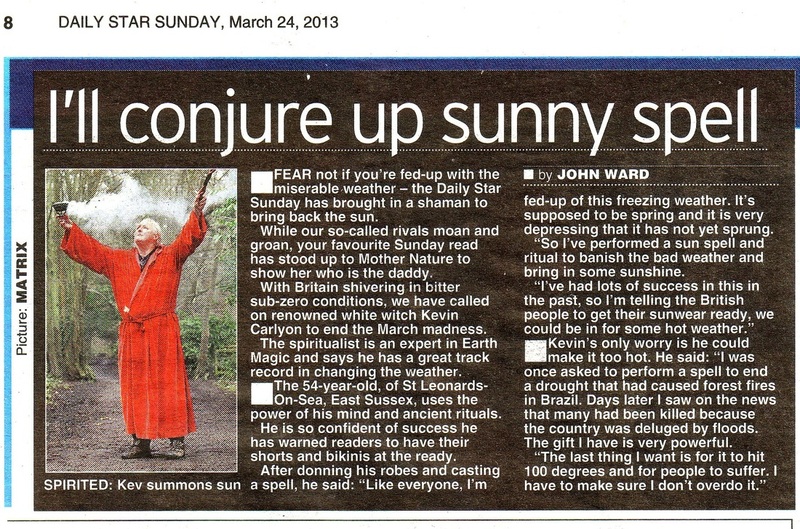 I DON'T GIVE REFUNDS SO ONCE YOU HAVE STARTED SPELL WORK THERE IS NO GOING BACK. MAGIC IS ALL AROUND US BUT JUST LIKE ELECTRICITY, YOU CAN COOK WITH IT, OR KILL WITH IT! IT IS VERY IMPORTANT THAT YOU READ THIS WEBSITE FULLY AND UNDERSTAND IT. NO EXCUSES. ​IF YOU ARE HAVING A LOVE SPELL TO BRING SOMEONE BACK YOU MUST NOT INDULGE WITH ANOTHER 'WHILE YOU WAIT'.